The new Glow Master KT-88 Integrated Amplifier sets a very simple goal in designing a whole new Integrated Amplifier for audiophile system of the 21st century. 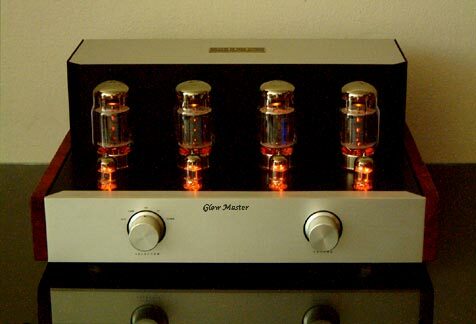 The new design goal is to achieve the next level of sound reproduction of today digital source and high definition transducer through maximizing a whole new approach in circuit development while maintaining integrity of vacuum tube design that capable of displaying beauty of the old day analog sound. In order to achieve such goal, Glow Master KT-88 has employed supreme design over other competitors. Beginning with the pre-amp/input stage and phase splitter/driving stage, they both utilize powerful hand selected 6N1P tubes that provide outstanding gain with linearity while maintaining very low distortion and noise. 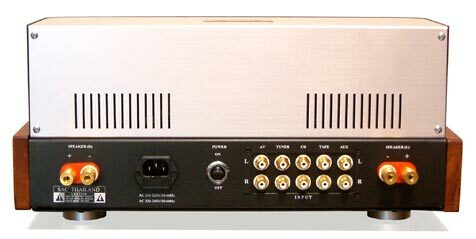 This front end stages play very important role in amplifier's overall performance since they must amplify input signal to more than 150 times without adding any noise or distortion. Both stages are hand trim via exclusive techniques to enter the zone of perfect balance signal generation. The parts used in these stages are selected for best tonal balance and smoothest sound with new carbon film resistor (Kiwame), clarity and dynamic sound from film and foil capacitor (Hovland Musicap). 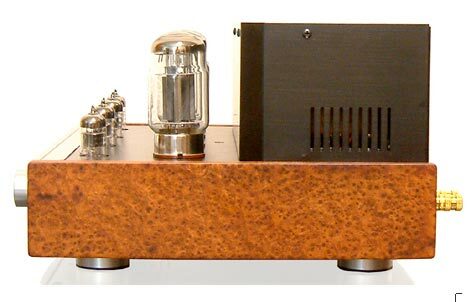 The output stage comprises of matched quad Svetlana KT-88 operating in ultra linear push-pull class AB-1 configuration (can be modified to run Triode connected push-pull class A1) which delivers clean and powerful 80 watts/RMS/Channel output power with very low distortion by itself throughout its 100KHz bandwidth. This figure does not come from excessive implementation of negative feedback or any constant current source; however, it derives from the use of only 10dB of negative feedback and our exclusive techniques that our research shows no subjective sound. The use of Printed Circuit Board (PCB) or poor skill Point-to Point wiring usually degrade sound performance by large margin and that's why we create new assembling technique for Glow Master KT-88 called "Direct Connection" which use glass epoxy sheet to firmly hold all sensitive parts and reject any mechanical vibration via nickel plated standoff terminals. Signal routing as well as supply routing are carefully managed to generate the minimum loss, lowest interference and shortest path. Even though AC is used for heating the filament of all tubes, the signal to noise ratio is still better than 88dB and hum level of less than 1.5mV at output terminal proving excellent achievement in noise reduction. 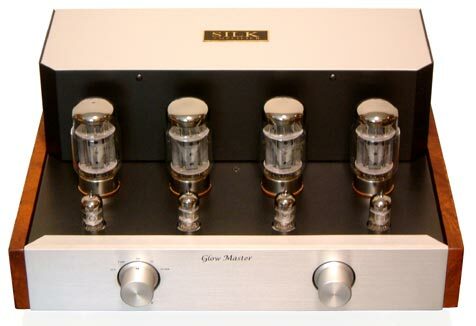 Glow Master KT-88 incorporates new specially designed SILK P-545(Fi) Output transformers (reference instrumentation grade) that are among the best push-pull output transformer that we have ever created. 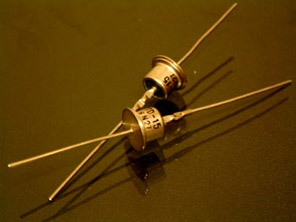 It is precision hand wound with SILK winding technology that minimize loss, improve bandwidth, yielding lower distortion, and improve linearity. 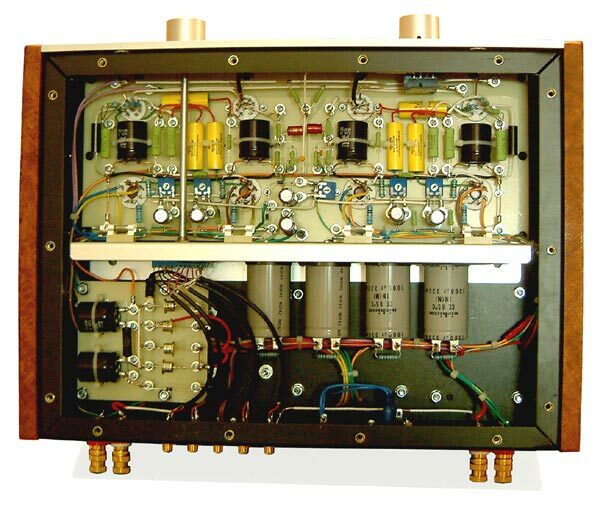 This output transformer process 5-100,000Hz power bandwidth with very low distortion. The circuit and output transformer are designed together and gone through several prototypes to generate best matching in all respects. The power supply section begins with 520VA special power transformer that has more than three times power reserve to the output power feeding hi-speed/low noise 1500V super diodes that withstand high current of 1.5Ampere each. 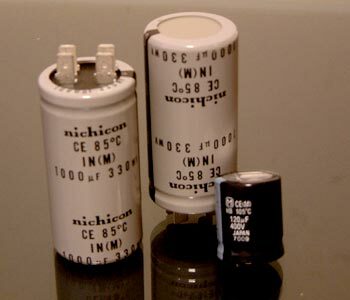 Super size filter capacitors are audiophile grade that made by Nichicon guarantee lowest noise, longest life and highest ripple rejection. The use of Filter choke in this new design also offers smoother energy storage with very low loss. This new power supply combination performs close to regulated power supply without the restriction of current and has much more current headroom than regulated type. Glow Master KT-88's Chassis is fabricated from thick anodized aluminum that dissipates heat better than steel chassis, will not spread and conduct magnetic generated by transformers, will never goes rust and helps improve RF rejection while offers smooth touch and durability. Real Wooden side bars are made of super rare burr wood "Makha hardwood" which bring up the elegant and classic look and mate easily in every existing audio systems. Finally each Glow Master KT-88 will be brought up to fine tuning and testing bench to start Q.C process before final listening test. 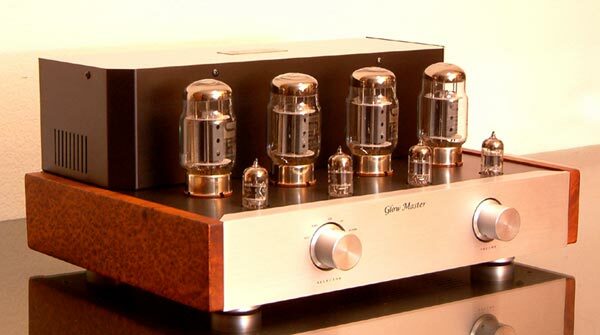 This assures that each amplifier meets our standard and will perform flawlessly in any audio system. 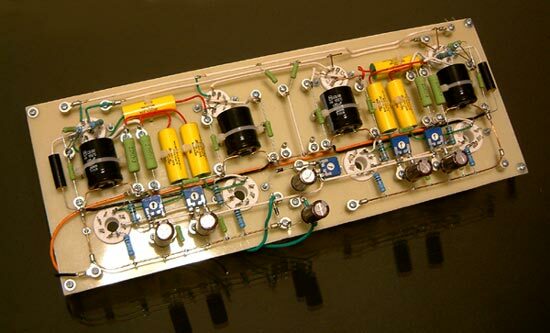 It is evident that this amplifier process very smooth and linear frequency characteristic from below audible frequency up to ultrasonic frequency with all power levels. This shows the ability to render musical signal without restriction of bandwidth of today's digital domain. 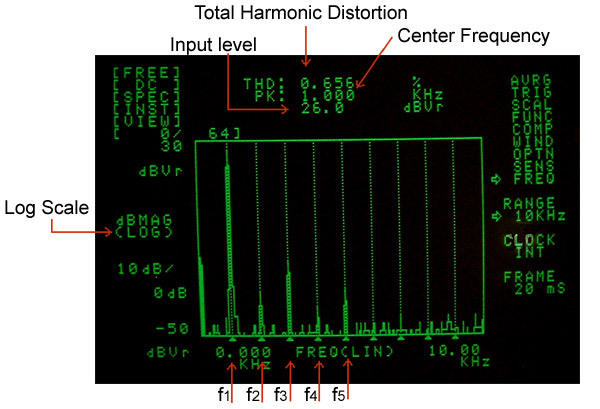 Total Harmonic Distortion is the basic measurement to display circuit performance and fidelity; however, before making any assumption on final sound reproduction, the THD figure must be transformed further with Fourior Analysis to display its frequency domain. This is called "Spectrum Analysis" and with the help of Fast Fourior Transform analyzer, we are able to generate and display the hidden distortion in frequency domain in graphical way. 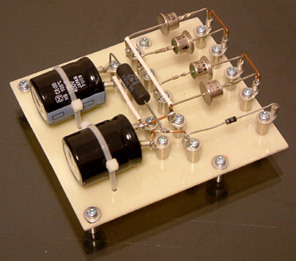 This helpful tool enable us to develop much better amplifier than others. This picture demonstrates the spectrum analyzer of Glow Master KT-88 runing a 1KHZ sine wave and generate output of 26.0dBVrms into 8 ohm load. The THD figure is only 0.656%. On the Y-axis reads amplitude in Log scale. 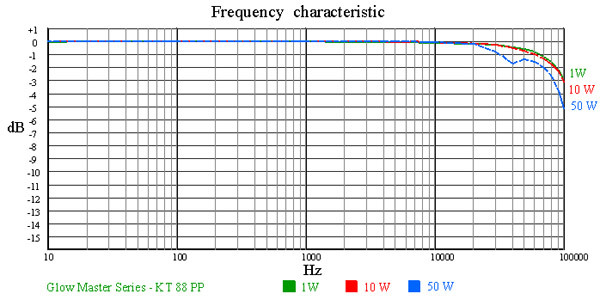 F1 is the input Fundamental frequency of 1KHz which reads at around 26dBV level. F2 is called Second harmonic with its frequency of 2KHz. This frequency does not appear on the input signal; therefore, it is classified as distortion in terms of harmonic however its amplitude is vey low compare witht the fundamental frequency (around -20dBV level). 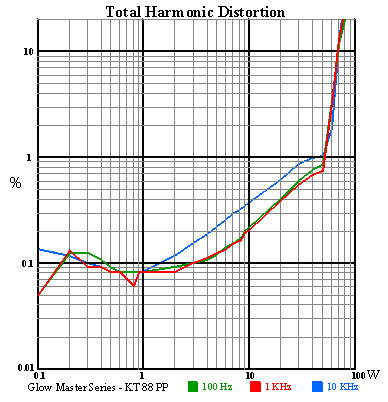 F3 is called Third harmonic with its frequency of 3KHz and its amplitude reads less than +5dBV. F4 and F5 and so on are also harmonic distortion which do not appear on input signal; however, their amplitude are so small (most of them below -50dBV level). This analysis reveals that Glow Master KT-88, unlike other push-pull amplifier or solid state amplifiers (that usually manage to get low THD figures but most of harmonics present in higher odd order of F5, F7, F9 up to F23! ), has been carefully adjusted to generate very small amount of THD while maintain only low order of harmonic distortion. The present of small amount of second harmonic together with the absent of other odd order hamonics make an excellent sounding amplifier that offers not only very low distortion but also pleasing and smooth sounding. This again proves our dedication to scientific research and the art of designing/achieving outstanding amplifier that generates exceptional powerful sound with clearity and sweet and dedicate sounding machine. (W) 43 x (D) 37 x (H) 20 cm.